^ 5 Differences Between Sativa and Indica | High Times. 2015-07-16 [2018-11-11]. 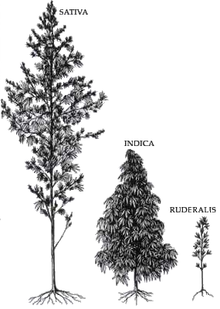 ^ Sativa vs. Indica vs. Hybrid: Understanding the Difference. TERRAVIDA HOLISTIC CENTERS. [2018-11-14] （美国英语）. ^ 3.0 3.1 3.2 3.3 3.4 3.5 杨永红. 大麻属植物分类研究史. 中国麻业科学. 2003, 25 (1): 9–11. ^ SHARMA. PLANT TAXONOMY 2E. Tata McGraw-Hill Education. 2011: 459–. ISBN 978-1-259-08137-8. 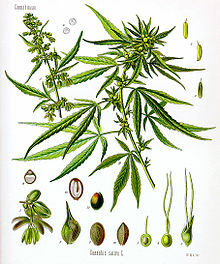 ^ Hemp Species. [2006-03-25]. （原始内容存档于2006-10-18）.